Giant hamster ball, inflatable human hamster ball, hamster ball for humans, is the sport of rolling down a hill inside a giant inflatable ball, Zorb globe, Giant Inflatable Human Hamster Ball. It's great for using down local hills, parks, play areas, football pitches and Zorb Ramp, Zorbing Orbit. We also can provide you Zorb Balls for use on Water. 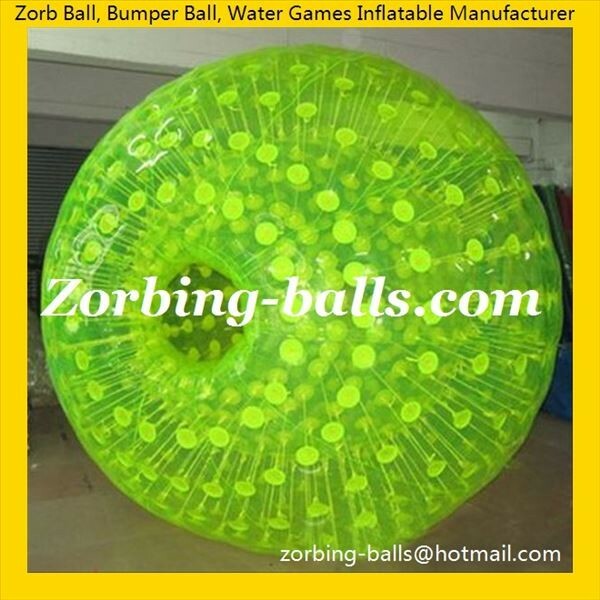 (Aqua Zorb, Hydro Zorb, Glow Zorb, Shining Zorb, Fluorescence Zorb). People must confirm zorbing conditions good before playing and take care of the safety by harnessing well inside, or tying the handle on the zorbing ball to something fixed with a rope. Then just rolling it, you will feel so much fun! 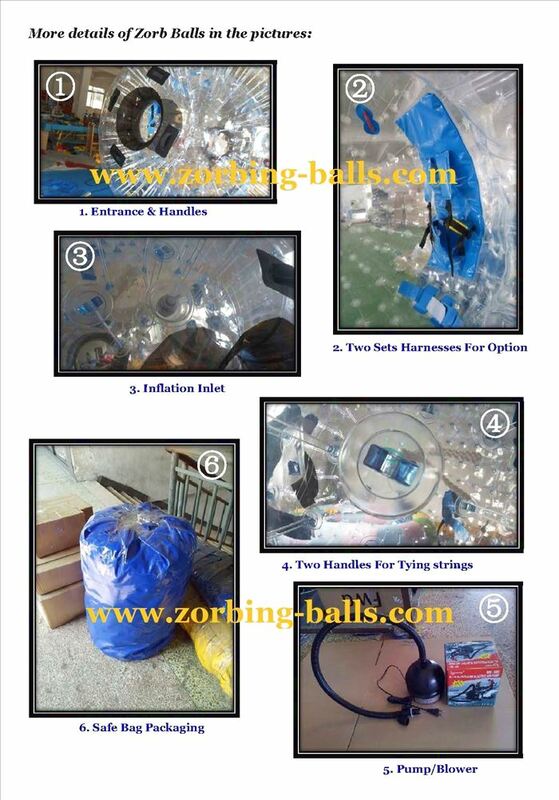 We offer plenty of zorb ball for sale in good quality.